This is Quake III: Arena for MorphOS. Drag the "Quake III" drawer to the location you want to install the game to. updates and you wish to update your Quake 3 data files at a later time. To start Quake 3, simply doubleclick the icon. icon, but should be started and controlled from a shell. - The 'new' PPC JIT has been bugfixed and enabled. Id Software: Making Quake 3 and releasing the sources under GPL. 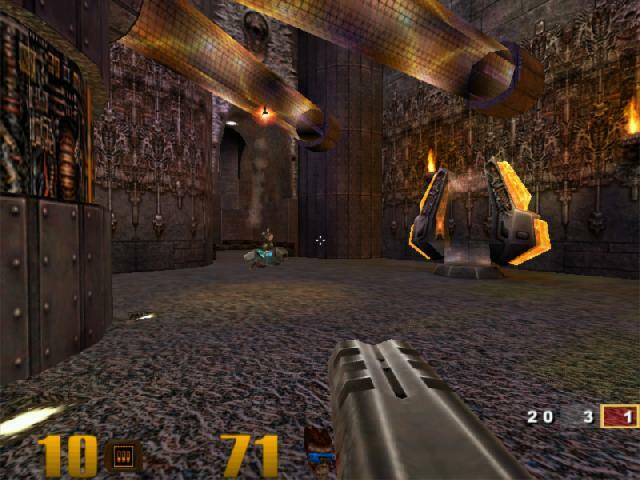 Mark Olsen: Porting Quake 3 to MorphOS. Harry Sintonen: Writing the installer and various other things. Michal Wozniak: Fixing up TinyGL and bughunting. David Walton: Knowing everything there is to know about the Quake engines. He helped solve many issues in Quake 3. Software and can't be freely distributed. gzip, tail (textutils), tar and wget are part of GeekGadgets and are GPL.